SPG Block Relieves Severe back and leg pain almost instantaneously. Spg Block. Tried 10 years severe chronic pain. Sean has been in pretty much constant pain for eight years and three years ago was diagnosed with Fibromyalgia. “The stretches were awesome!” Sean said describing the spray and stretch technique used by Dr Shapira. These are standard tchniques taught by Dr Janet Travell. This is not complete treatment, this was the very first consultation visit to see me. All patients do not have the same initial improvement but almost 100% of patients feel some benefit at the first visit. Brittany describes how she has been having severe migraines for over a decade.. She is almost always in constant pain and has tried a wide range of medications, nerve blocks and has a surgically implanted neurostimulator and nothing has really worked. This was her first visit for a consultation and she now has no pain and is super relaxed and feels great! She has her neurostimulater off for over an hour and it has not been off since it was surgically implanted. If ever off even for a short time she would get an immediate migraine. When the stimulator was turned off and she felt a migraine begining Janet Travell spray and stretch technique turned off the migraine as myofascial triggers were relieved. Dr Shapira treats a wide range of chronic head and neck pain patients in his Highland Park office including TMJ disorders (temporomandibular disorders) , chronic daily headache, chronic migraine, hemicrania continua, stress headaches and more utilizing neuromuscular dental techniques, sphenopalatine ganglion blocks, trigger point injections, spray and stretch, and treatment of sleep disorders. Ori, a 28 year old disabled Israeli soldier discusses how sphenopalatine ganglion block relieved her pain in under two minutes after starting at 7 1/2 or 8. Ori was amazed that such a simple procedure could provide such amazing relief of her fibromyalgia pain so quickly after suffering for nine years. Ori now knows how to do SPG Blocks on herself. Ori is the leader of a group of ten Israeli soldiers visiting Chicago for two weeks as part of a program of the AFIWDF, the American Friends of Israel War Disabled Foundation. A second Israelii Veteran who has had continupous pain since the 1973 Yom Kippur War in Israel was sho in the chest anf injured his back as a paratrooper. He asked about also having a SPG Block and his pain was 100% relieved for over 12 hours by the SPG Block. A second application quickly removed the pain when it returned. He had been in continuous pain 8-10 since 1993. Medical marijuana was able to take the edge off the pain but only partial relief. He did not like how the cannabis made him feel. Ori is the leader of this group’s visit in Chicago. I have taught hundreds of patients, physicians and dentists these life changing techniques. I last taught over 100 dentists and the ICCMO (International College of CranioMandibular Orthopedics) meeting in California in 2015. In 2014 I lectured in Buenos Aires ICCMO meeting on developmental aspects of TMJ disorders, Sleep Apnea, ADHD and Behavioral disorders. I am returning in 2017 to lecture on the Sphenopalatine Ganglion Block technique. Dr Joseph Bosiljevac describes the feeling of overwhelming calmness and being totally relaxed after having a supra-zygomatic Sphenoplatine ganglion block injection. He had no medical complaints or symptoms but was interested in learnig how to administer SPG Blocks to help his patients. Dr Bosiljevac will be utilizing this technique he learned from Dr Shapira to treat veterans with PTSD. Dr Shapira practices in Chicago (Highland Park and Gurnee) and teaches physicians and dentists various techniques for doing SPG Blocks for many conditions. Video Demonstration of Supra-Zygomatic approach Spg block using spinal needle. Spg block for Fibromyalgia American Sign Language. Fibromyalgia. Back pain, shoulder pain, anxiety and depression can all be treated with Sphenopalatine Ganglion Blocks or SPG Blocks. TMJ patient, Brooklynn talks about her amazing, life changing recovery. Brooklyn describes her journey into debilitating pain after orthodontics and how treatment with Dr Shapira has led her down a path to recovery. Dr Shapira’s Highland Park office is on the Metra line. TMJ Patient for Over 20 Years: Now Diagnosed With Migraine. TMJ Treatment Improves Quality of Life. Patient describes 20 yers of dealing with TMJ problems. 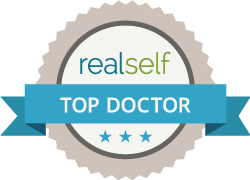 Dr Shapira has treated her and if there is a flair up a visit or two corrects the problem. She was recently diagnosed with migraines and is shown having a Sphenopalatine Ganglion Block (SPG Block) to turn off the migraine. Severe Pain Relieved With Sphenopalatine Ganglion block: ” Lidocaine Sticks in my nose”. Patient describes miraculous instant pain relief with with SPG Block. “I can do this at home, easy” Patient’s life was destroyed by MVA while a Fed Ex Driver that destroyed every aspect of his life. He is wearing a Neuromuscular Orthotic and has just had his first exposure to SPG Blocks. While pain relief has been previously achieved this technique puts Dhabu in charge of his pain control. He is anxious to get off all the medications he has been forced to live on. The SPG Block is amazing for not only treating the pain but it also treats anxiety, depression and PTSD. The side effects of this treatment are all positive. It is also an inexpensive approach to pain that gives life changing results often at the first visit. Dhabu was so happy to actuall smile again as that has been lost due to the severe pain. I strongly Rx everyone with Chronic Pain get the book “Miracles on Park Avenue” which is available for $2.00 on Amazon or as a free download on another site. While SPG Blocks are usually considered primary pain treatments the are actually extremely effective for a wide variety autonomic conditions. The Sphenopalatine Ganglion is the Largest Parasympathetic Ganglion in the head. I have personally see it turn off severe migraine, cluster headache, mensrual cramps, IBS pain and more. SPG Blocks may not cure but they take away suffering. SPG Blocks and TMJ or Migraine Treatment go hand in hand. Low back pain once disappeared in a patient who was in for TMJ and Headaches and we did not know the patient had it but he was contemplating extensive back surgery. I have patients who break out laughing for the first time in years and patients who cry in joy that their pain goes away. Instant pain and stress release with sphenopalatine ganglion block. Patient was once told her to learn to live in severe pain because her case was hopeless by a Mayo Clinic doctor. Karen is now doing fbulously well is doing fabulously well with her diagnostic neuromuscular orthotic in her mouth. We discussed doing anSPG Block at a previous appointment but sshe was a little nervous so Dr Shapira Recommended she read the book “Miracles on Park Avenue” and she is halfway through reading it. Karen was in for her regular adjustment appointment and still had a little discomfort in one ear when she came into the office on this day. We had just done a SphenoPalatine Ganglion block with lidocaine delivered by cotton applicators through the nose and she instantly felt fabulous with all of the pain completely eliminated and very relaxed. Her boyfriend wanted to see what the SPG block felt like and he just had an extremely stressful three days. He described how the stress and anxiety just seem to melt away after he did the sphenopalatine block. The two are sitting relaxed and enjoying themselves while the SPG Block continues to relieve and residual pain stress or anxiety. The Sphenopalatine Ganglion or SPG is the largest parasympathetic ganglion in the head and the only one easily accessible through the nose. It is also called Merkel’s ganglion and the Pterygopalatine ganglion. It aso has some sympathetic fibers and part of the trigeminal nerve passes threw it but there are no trigeminal nerve bodies in the ganglion. Peter describes how are you got a sphenopalatine ganglion block which gave him temporary relief from all his pain but was then told that he had way more problems and probably should not expect long-term relief. Peter has seen all kinds of doctors including ENT sinus specialist, neurologist, periodontist, general dentists . They thought I was crazy or oversimplified my problems to just a bad tooth, or you need a root canal but over time the proble just never went away but I kept searching for new treatments and new doctors. An SPG Block was the first intervention that helped but only for a few hours. That doctor then said there was probably more permanent damage. Peter than described now is not working with Dr. Shapira who is treating him with an intra-oral orthotic and neuromuscular dentistry as well as having taught him how to home administer sphenopalatine ganglion blocks through his nose with cotton tipped appicators. This was a bite problem since I was twelve years old. I did not like the plastic appliance the first two days but it appears to be the answer. Peter’s advice is to keep an open mind about various treatments. Be a little bit skeptical about what your doctors tell you. Many doctors do not see the whole picture but Dr Shapira does see the whole picture. TMJ 85% relieved after first day. Physician Travels to Chicago for TMJ Treatment. Physician comes to Chicago for treatment of years of severe pain from jaw trauma. A Nebraska physician, an OB/GYN , he comes to Chicago to see Dr. Shapira and finds 85- 90% relief of his long-standing pain problem after just the first day. After seeing many physicians and dentists including several Pankey and Neuromuscular Dentists his extensive research brought him to Chicago to see Dr Shapira. He is seen here wearing an ultra low frequency TENS. Severe pain relieved for a 12-year-old. 12-year-old patient who is had severe pain for over two weeks that was excruciating in over five years of continuous pain sees Dr. Shapira at Think better life for a single visit our consultation and leaves that first visit free of pain. This is just the beginning of treatments and she may not stay free of pain long-term but she describes in her terms how she’s feeling after the first visit. Long-term goals are always two eliminate the pain completely and restore quality of life. Sarah: Hi I’m Sarah. I give permission for this to be on the web. Sarah’s Mother: I am Sarah’s mother and I give permission for this to be on the web. Dr. Shapira: Okay. So tell me about it. How’d you feel when you came in today? Sarah: Definitely didn’t feel good. My head really hurt, and my shoulders, and my neck, and my back. I got really, really tired and wasn’t doing good. Dr. Shapira: How long have you been feeling like that anyway? Dr. Shapira: Okay. And how long have you been just hurting all the time? Sarah: Nonstop for a week. Dr. Shapira: For a week? How many years have you had pain? Dr. Shapira: Okay. When’s the last time you felt this good? Sarah: Six months ago maybe. Dr. Shapira: Okay. What’d we do today? Sarah: We did dental stuff and I had trigger point injections. Dr. Shapira: How’d those feel? Sarah: They hurt a little bit. Definitely made me feel a lot better. Dr. Shapira: Okay and did we stick something up your nose? Sarah: Yeah, little kind of tube things. Dr. Shapira: Okay. Do you remember what that was called? Dr. Shapira: That was a steel palate ganglion lock. Or an SPG lock. Are you going to go take those home and do them at home? Sarah: Yeah I’m going to do them at home. Dr. Shapira: How’d you feel with me today? Dr. Shapira: Good. Anything else you want to say? Sarah: I feel so much better now. It’s like fog has been lifted from my mind. It’s been there for a while now. I just can’t wait- I have a lot more energy now, I’m tapping my toes. Dr. Shapira: Good. And you look gorgeous, you’ve got a great smile.